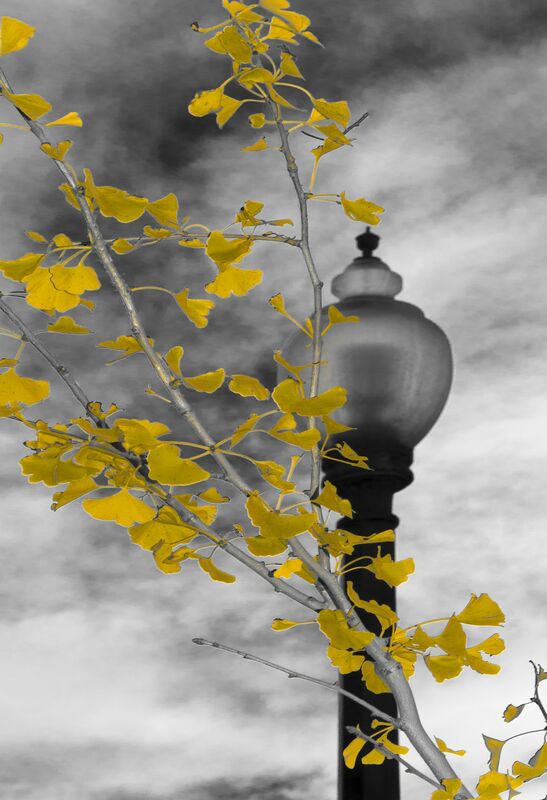 I was walking my dogs and past this lamp post with the branch and yellow leaves. I was attracted to the softness of the leaves against the metal and glass of the lamp post. Date Uploaded: Oct. 30, 2017, 4:34 p.m.